Since Chicagoland Golf made its debut back in 1989, the first issue of each year has focused on the year ahead. Not so in 2014. A look back is essential this time before we delve into the exciting developments on the horizon. In Chicago, at least, 2014 is a year for centennials. One-hundred years is a long time, and just surviving that long is a cause for celebration. For instance, Wrigley Field — the long-time home of the Cubs –was built in 1914. Though I’m only a casual baseball fan, Sports Illustrated devoted an issue solely on the ball park’s history, and I found it captivating. No less significant, though, are two other centennial celebrations – and these are both for us golfers. The Chicago District Golf Assn. was founded in 1914. It’s grown to over 300 clubs, some of which are even beyond the city’s borders. The organization will conduct 60 events this year, including 13 state or association championships. 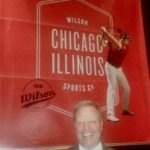 Wilson Sporting Goods, based in Chicago and its suburbs ever since Thomas E. Wilson founded the company, also arrived on the sports landscape in 1914. It’s become an iconic brand – not just for golfers but for participants in other sports as well. Tim Clarke, head of Wilson’s golf division, shows how the 100-year old company promoted products in its early years. Both the CDGA and Wilson haven’t just survived; they’ve thrived. Both will be announcing more detailed schedules for their celebratory events as the year goes on, but some are already evident. The CDGA’s tournament schedule, for instance, revealed a new opening event on April 14. Its Centennial Team Championship will be held at Midlothian Country Club. It’ll be a two-player team event with a unique format – six holes of best ball, six holes of total team score and six holes of alternate shot. Teams from all CDGA clubs are eligible for the season opener, but the season-ending Centennial Founders Club Championship will be by invitation only. 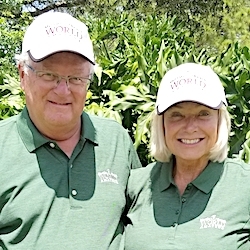 It’ll be played at Hinsdale Golf Club, which was the home of Francis S. Peabody, the CDGA’s first president and the person most credited with bringing representatives of 25 private clubs together for the purpose of forming the organization. The season-ender will be limited to teams from those 25 original CDGA clubs and the competitive format hasn’t been determined. The event will not only conclude a big year for the CDGA, it’ll also climax a monumental year for Hinsdale. The club will also host the historic CDGA Amateur, the only event contested every year since the organization’s founding. Hinsdale last hosted that big tournament in 1997. This year’s version will be held June 23-26. While the CDGA gave an inkling of its plans first, Wilson’s centennial celebration was more immediately visible. The company started it at the Waste Management Phoenix Open in late January when its tour players showed up with retro-looking equipment. Padraig Harrington, Kevin Streelman, Ricky Barnes and newly-signed Marcel Siem headline Wilson’s stable of touring pros and they’ll remind everyone of their company’s rich history for the next few months. The retro look, which covers bags, umbrellas and headcovers, will be evident at all the PGA, European and Asian tour events through July’s British Open. “Then we’ll move toward the look and feel we’ll have for 2015 and beyond,’’ said Tim Clarke, general manager of Wilson’s golf division. The company brought representatives from its offices around the world to Chicago to this year’s Chicago Golf Show for an internal centennial celebration. 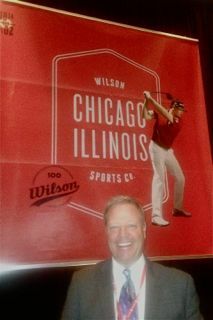 Wilson is also prominent in other sports, but has one golf niche that has long stirred company pride. More major titles (61) have been won by players using Wilson Staff irons than any other brand. The company also had legendary Gene Sarazen on its staff for 75 years – the longest-running contract in sports history. Sarazen created the original sand wedge during his long affiliation with the company. Not many organizations or equipment manufacturers in any sports have lasted 100 years. The CDGA and Wilson are both going strong, a testament to the tremendous respect both merit in the golf industry. Both the CDGA and Wilson will be around for many years to come, but another reflection of where golf is going comes from a new – much more high-tech – Chicago company, NewSpin Golf. 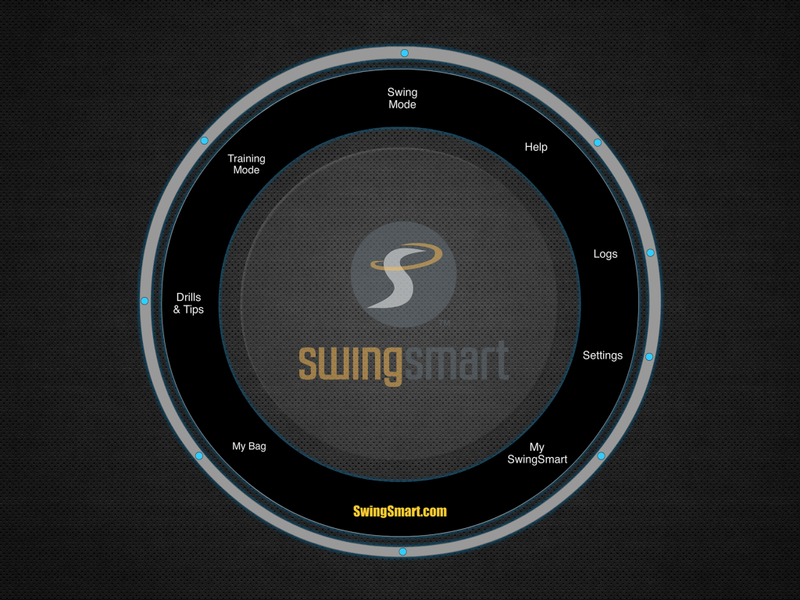 It produces the SwingSmart, a mobile swing analyzer that is as high-tech as it gets in a golf world that is continuously evolving. 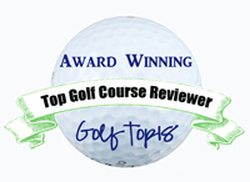 Angelo Papadourakis created the SwingSmart, set up offices in North Barrington, hooked up with famed instructor Peter Kostis and saw his product win a Techy Award from Golf Magazine in the training aid category. You can swing your club with a sensor attached and get immediate feedback on your tempo, attack angle, swing speed and face angle plus a 3-D view of your swing on your iPad/Phone or Android device. “You don’t have to hit a golf ball to get better,’’ insists Papadourakis, who says SwingSmart develops better feel and shape of the swing. The idea for the product started in 2006, and NewSpin got a patent last Nov. 19. It’s now for sale (suggested price is about $250) throughout Europe, in addition to the United States and an upgrade is coming in March. 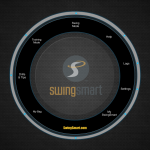 SwingSmart has brought its high-tech imaging to the golf course. Indeed the game is constantly changing, and growing. 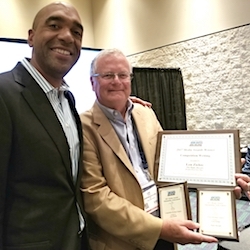 A month ago over 1,000 companies were represented at the 61st PGA Merchandise Show in Florida, 40,000 industry members prowled the corridors of a big convention center to see new products and the trade show drew three days of national television coverage for the first time. I’d say this 100-year journey has been mind-boggling. Wouldn’t you?